With sonic technology to remove any plaque from between teeth and along the gum line, this gives a really deep clean. It has three modes: clean, gum care and white. 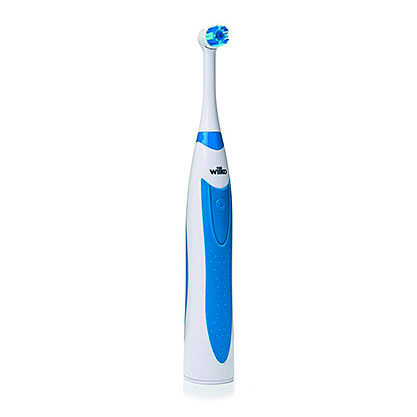 It has a pacer to remind you to brush evenly and a pressure sensor that warns you if you brush too hard. It comes with two brush heads that activate a light when they need replacing. It was the battery life that stood it apart from the rest – after the initial 24-hour charge it lasted over four weeks. 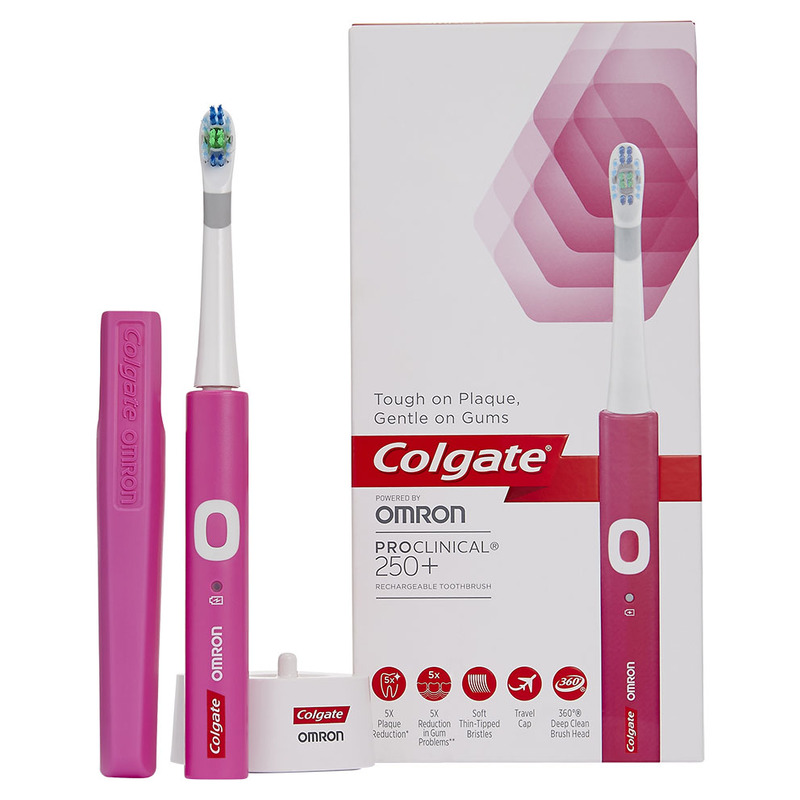 Premium toothbrush that includes Bluetooth – download an app to track your cleaning habits. While this is useful, testers found it a bit inconvenient in the morning rush. 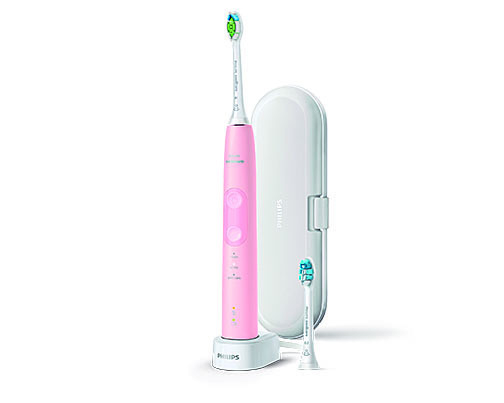 It has six cleaning modes, from daily clean to tongue cleaning, a pacer and a pressure sensor. It comes with four brush heads, a travel case that’s also a charger and a phone holder for the bathroom. The charge lasted for around 11 days when used twice a day. allowed access into the hard-to-reach areas. The bristles weren’t too hard – good for those with sensitive gums. According to the Oral Health Foundation, children should also use electric toothbrushes. This one is suitable for age six and over and proved particularly child-friendly. 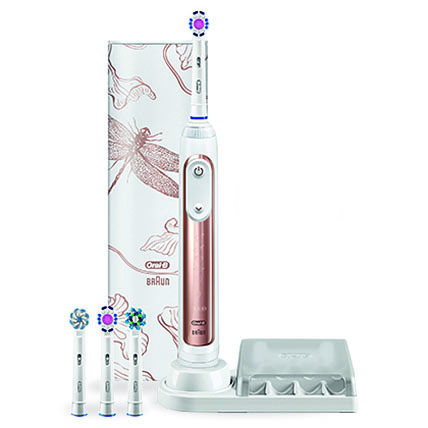 It is battery powered with soft bristles to avoid damaging teeth or gums. Both the battery and its three brush heads can be replaced. We loved the flashing 2-minute disco light timer to ensure teeth are brushed thoroughly. It also has a 30-second pacer to remind children to move on to another area of their mouth. basic electric version. It needs 2 x AA batteries, which are supplied and lasted three weeks, brushing twice a day, before slowing down, making it ideal for holidays. As it is a budget brush there is just one speed and no fancy gimmicks, so brush as long as you like and switch off when done. We liked that it has a sturdy base and stands up without falling over when finished and there is a replacement head included. Fantastic value for money.